Investors are expected to keep tabs on Zee group stocks in today's trade. 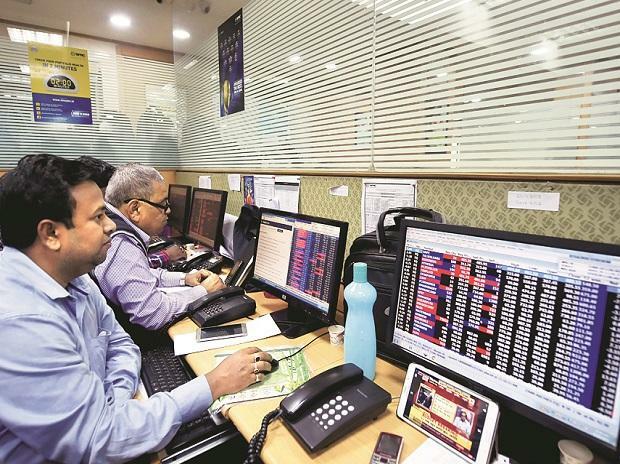 Interim Budget 2019, US Federal Open Market Committee (FOMC) meeting, corporate earnings, US-China trade talks, macroeconomic data (GDP data, fiscal deficit figures, Nikkei PMI manufacturing and infrastructure industries index numbers), movement in rupee and crude are likely to dictate the market trend this week ahead of January-series futures and options contract expiry on Thursday. Apart from this, investors are expected to keep tabs on Zee group stocks in today's trade. Around 500 companies including Axis Bank, Tata Power, HCL Technologies, HDFC, Bajaj Finance, ICICI Bank, Bajaj Auto, Indian Oil Corporation, NTPC, Bharti Airtel, Hero MotoCorp, UPL, Power Grid Corporation, State Bank of India, Dr Reddy's Laboratories and Titan Company are slated to announce their December quarter earnings this week. The rupee on Friday weakened by 10 paise to close at 71.17 against the US dollar amid increasing demand for the greenback from exporters and heavy selling in domestic equities. Nifty futures on Singapore Exchange (SGX) were trading at 10,819, up 24.50 points or 0.23 per cent in early trade. Asian stocks advanced on Monday as Wall Street rallied after a deal was announced to reopen the US government following a prolonged shutdown that had shaken investor sentiment. MSCI’s broadest index of Asia-Pacific shares outside Japan climbed 0.2 per cent. South Korea's KOSPI edged up 0.2 per cent, New Zealand stocks were up a touch, while Japan's Nikkei bucked the trends and eased 0.2 pecent. The Dow Jones Industrial Average rose 183.96 points, or 0.75 per cent, to 24,737.2, the S&P 500 gained 22.43 points, or 0.85 per cent, to 2,664.76, and the Nasdaq Composite added 91.40 points, or 1.29 pe rcent, to 7,164.86. US spot crude oil futures were at $53.37 per barrel, down 32 cents, or 0.6 per cent, from their last settlement. International Brent crude oil future were at $61.37 a barrel, down 27 cents, or 0.4 per cent. India Inc’s profit share in the country’s GDP has hit a 15-year low. The corporate profit-to-GDP ratio for 2018 stood at just 2.8 per cent, the lowest since 2003. The share is down to a third compared to the peak of 7.8 per cent a decade ago and is also below the 20-year average of 4.4 per cent, an analysis by domestic brokerage Motilal Oswal Securities shows. “The continued soft patch in earnings over the last decade has resulted in steady deterioration in the corporate profit-to-GDP ratio,” it says. The Subhash Chandra-led Essel Group is counting on the sale of infrastructure assets and a part sale of the promotor holding in Zee Entertainment (ZEEL) to remove the pledge on promoter shares. Nearly 25 per cent of the equity of ZEEL has been pledged by the Indian promotors (Chandra and his family) to the group’s lenders, while in the case of Dish TV, it is nearly 56 per cent, data for the period ended December 31, 2018, shows. This has been done to pick up debt for infrastructure projects undertaken by the group over the last few years.